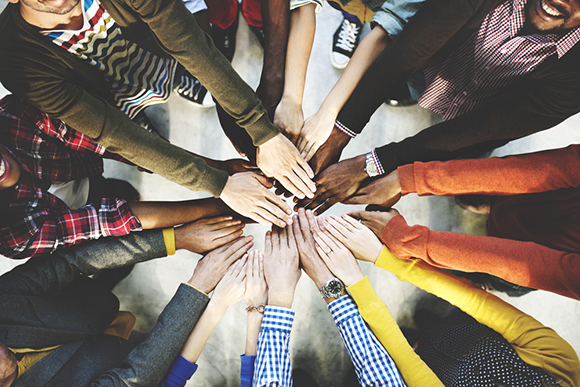 Community trust for CSR is low, so a new model is needed to create a deeper connection between the business and the civic world's, writes business consultant and lawyer Laura Brodie. Community trust for CSR is low, so a new model is needed to create a deeper connection between the business and the civic world’s, writes business consultant and lawyer Laura Brodie. Research has revealed that community attitudes towards corporate social responsibility show it is not effective and in some cases is failing. Take for instance that only​ ​13 per cent of people​ trust what they read in a company’s sustainability report. Does research like this point to a bigger problem? In the minds of the Australian community, has business become synonymous with greed and excess? How does business continue to make social impact investments in a manner that is financially responsible in the long term? While many Australian companies and businesses genuinely want to contribute to the community, research is revealing trends that may point to a step ­change in the nature of CSR itself. Corporate sustainability and community mismatch? On the one hand, consumers want brands to deliver on social and cultural benefits but in reality many of the sustainability narratives are failing. Certainly, consumers want companies and brands to deliver on social benefits – caring for the wellbeing of the community and planet, but for many people sustainability does not mean anything. Combine high levels of scepticism and low levels of trust, and there are ripe conditions for consumer disenchantment with corporate messaging. This makes it very difficult for companies to effectively engage their consumer audience. Initiatives such as the Global Compact, the B Team, and B Corporation speak to a wider theme of business movements that are seeking to change the overall narrative about business (and the economy more generally) and how it contributes to our lives. These movements have a golden thread tying them together. Their aim is to redefine the nature and role of business in our lives. This is a big shift in the status quo from business as a profit generator to being a driving force for social, environmental and economic benefit. I believe these trends point to a shift in the very nature of corporate social responsibility and how it could be done. If the role of business is redesigned as the vehicle to address some of the big challenges of our time, it must be done​ in partnership with citizens (or consumers) and the community. The citizen sector (or third sector as it is commonly referred) has become a pivotal partner, not an accessory. The role and responsibilities for business to operate in a world where it is no longer enough to be “seen to be” doing the right thing: the needle has moved. It’s important that they internalise the message too. The ethics and values the company espouse must be woven into the very fabric, the culture, of the company. I call this new model “community-driven” CSR. Community-driven CSR is a model that describes socially responsible companies, or B Corporations, that are much more active in their community than in the provision of money, or even partnerships. Community-driven CSR is an emerging practice where a company seeks to include community stakeholders, through genuine collaboration on social or environmental problems, co­design practices and generative listening. Community-driven CSR favour’s creating long- term relationships, breaking down the “differentiation” silos between corporate and citizen sectors, and coming together on what they have in common. Strong company­ stakeholder relationships are built on trust and perception that a company shares a stakeholder’s values. For truly successful outcomes, there needs to be more than “perceived” impact. “Radical transparency” is one model being adopted by the likes of Ben and Jerry’s, Patagonia, and local companies TOM Organic, and Thankyou Group. This consists of providing transparent information to the community about the way the business is run. The aim for community-driven CSR is to inspire and encourage a democratic and transparent CSR practice that engages with the community for the long term. ​A company’s CSR strategy should be a way to demonstrate their values in action. Personal values of the board / CEO matter as they ultimately set the tone for genuine CSR engagement. Community engagement is an art, not a science. Social impact cannot be engineered. Social and cultural outcomes arise under the right conditions. This may mean acknowledging the problem is a hard one to solve from the outset. Build in a flexible approach to measuring impact. Business and the citizen sector co-design solutions to shared problems through a values aligned commitment to long-term action. place an emphasis on soft skills. Design a strategy around creating deeper levels of trust and looking beyond values “alignment” for a once-off project. Generative listening means taking the time to know each other and hear the “subtext” to the overarching conversation. What is happening behind the spoken communication? Is there mistrust about financial management? Is the power imbalance between the cash strapped social entrepreneur or NFP interfering with either party’s ability to be frank and honest? A company’s CSR activity must actually fulfil some of the basic needs of its stakeholders and, in doing so, reinforce the company’s sustainability and civic values. An emerging practice of community-driven CSR may be one path forward to creating deeper links between corporates and the civic sector to address the community-corporate mismatch. About the author: Laura Brodie is an independent business consultant and lawyer, and consultant at Spark Strategy. Laura Brodie is an independent business consultant and lawyer, and consultant at Spark Strategy.